It’s getting dark early now that it’s almost December. This is awesome, because that means that we can experiment with things that you can only see in the dark! 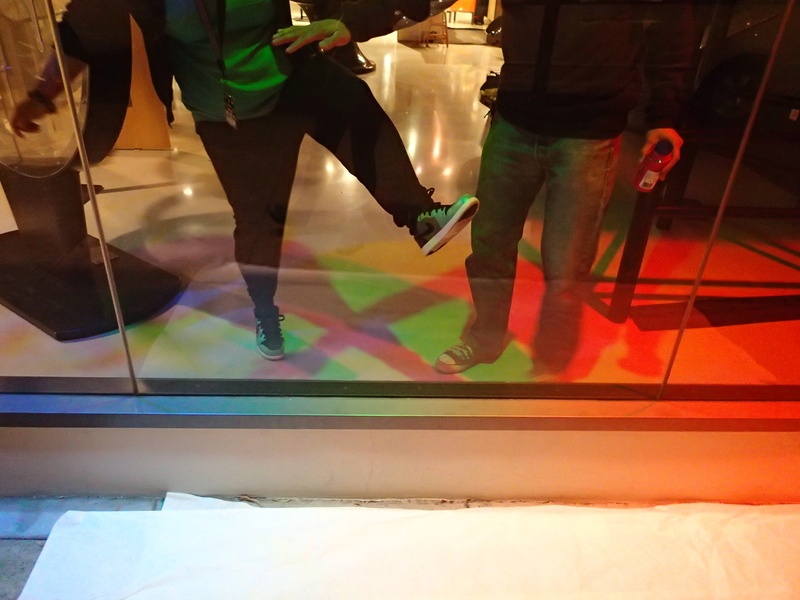 We put red, green, and blue gels in our lights so that they cast colored shadows on our white floor. 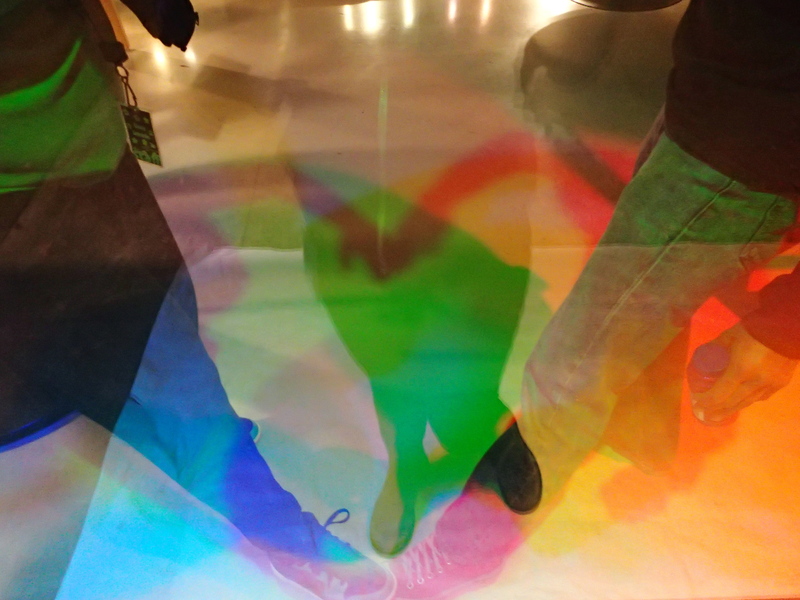 When the lights come on, go stand by our front window and dance with your colored shadows!